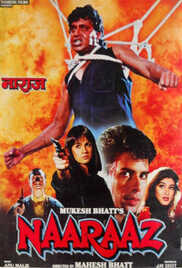 Plot: Wealthy author Ajay Pandit befriends angry and poor Deva, who lives in the nearby slums with his widower father. After the two men grow up, Ajay falls in love with Sonali, while Deva continues to live a life of destitution. After the local Poojary poisons potable water,leading to many deaths, Deva beats him up, and is awarded. Shortly thereafter, Deva himself will be on the run from the police; his father will be arrested for possession of arms and ammunition; and Ajay will find himself arrested and prosecuted for hiding Deva. Ajay and Deva are destined to meet again - not as friends - but as enemies.